This is more than giving to Furman out of a sense of duty or nostalgia. This is about giving For Furman—for its future, and for all the reasons that Furman truly matters. Annual gifts fund the people and programs that make Furman a premier liberal arts university. Every dollar raised through these gifts reduces Furman's dependence on tuition to cover the operating budget. What will you give for? Furman's fine arts programs are integral to the Furman education. Through the music, art, and theatre arts programs, students learn to communicate and more clearly see and understand the world. Furman alumni have conducted renowned orchestras, sung on stage of the Metropolitan Opera, debuted on Broadway, and showed their work in Rome. Give for the love of creative expression. Furman recruits from a highly competitive pool of students who often are offered large financial aid packages from several institutions. In order to maintain the high caliber of students at Furman, we must offer comparable aid. Currently, the endowment and annual giving are only able to cover 20% of the scholarship funding provided to 85 percent of the students. Annual gifts like yours are dedicated to scholarships, increasing access for students by decreasing the financial burden on their families. 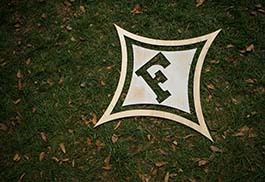 Give for access to the complete Furman experience. Make your gift of support for the area that needs it most. Funds for the Area of Greatest Need meet the most pressing needs of the university in the academic year to come. Give for a vibrant Furman future, whatever might lie ahead. Furman is committed to a high-touch experience that integrates academics with our students' co-curricular and extra-curricular activities. Recruiting and maintaining leading faculty and staff dedicated to this approach is essential to educating students who are prepared for lives of purpose and meaning. Give for a quality, integrated academic experience that educates the whole student. Furman is a community of learning enriched by the extra-curricular activities available to students. Whether it's attending a CLP, or raising money for a Greek organization's philanthropy, student activities contribute to the spirit and heart of campus. Give for learning to lead and leading lives of meaning. Furman is a private institution with a public mission. Each year more than 1,800 students serve community agencies through organizations like the Heller Service Corps (formerly known as CESC), this year celebrating its 50th anniversary. Give for a tradition of service and communities that prosper. First impressions matter. On any list of Furman memories, the entrance through the iconic front gates is always at the top. Furman continually earns top accolades for its beauty, and the University is committed to maintaining surroundings that inspire the mind and nurture the soul. Give for the place you love to call home. Annual gifts fund research projects and internships all over the world. Each summer, more than 400 students obtain internships and more than 200 students complete research in collaboration with Furman faculty, thus 81 percent of our seniors complete some form of research or internship before graduation. These real-world experiences prepare our students to be leaders and problem-solvers in an ever-changing world. Give for an education that extends beyond classroom walls. Furman's faculty-led study away experiences are transformative. Nearly 50 percent of students participate in study away each year, continuing the tradition of pilgrimages to the British Isles, South America, Brussels, and China, among others. Give for a world perspective. Furman is distinct in that it offers NCAA Division I Athletics in a small, liberal arts setting characterized by high academic standards. Whether participating on the court or cheering from the stands, students, alumni, and friends benefit from the opportunity to participate in a shared, supportive community. The success of our teams rests partly on the abilities of our athletes, most of whom are attending Furman on athletic scholarships through the Paladin Club. Give for athletic excellence, on the field and in the classroom.